Hobie Hanson is not looking forward to summer vacation. He's glad fourth grade is over, but he's sure he's in for two boring months. His best friend has been sent to computer camp, and his other friends are just plain busy. Hobie has nothing but free time. Who would have thought free time could be so interesting? Hobie finds plenty to do, after all. So what if he gets stuck doing things with Molly Bosco? 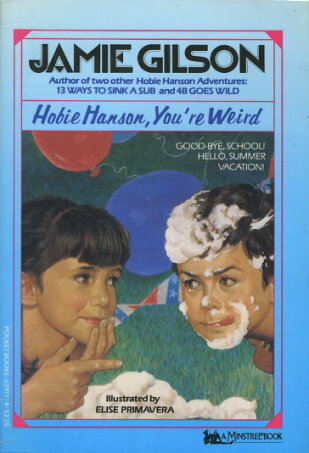 Molly does call Hobie weird, and she is bossy, but together she and Hobie win a pie-eating contest, find a lost child, and bury a one-of-a-kind time capsule in the Hansons' back yard. With Hobie around, nothing is boring!